DirecTV could lose its exclusive rights to its NFL Sunday Ticket package, the league’s commissioner Roger Goodell hinted at during an interview on Friday. A rep for DirecTV did not immediately respond to TheWrap’s request for comment. Sunday Ticket, which lets subscribers watch out-of-market games during the season, has been exclusive to DirecTV customers for the past 25 years. Although the current deal between the AT&T-owned company and the NFL runs through the 2023 season, the league has an opt-out after the 2019 season. In recent years, DirecTV has tested out streaming versions of Sunday Ticket that would be available to non-DirecTV subscribers. But this has been restricted mainly to college dorm rooms and other apartments in major cities that don’t allow for satellite dishes to be installed. DirecTV is owned by AT&T, which just completed its acquisition of Time Warner, bringing in Turner Sports into the fold. Turner President David Levy, a key figure in Turner Sports for decades, is leaving the company following the acquisition, with CNN Worldwide president Jeff Zucker now leading both news and sports for WarnerMedia. The NFL has been testing out streaming of games in recent years, most notably with its “Thursday Night Football” broadcasts. Amazon has had non-exclusive streaming rights for the games that air on Fox (and before that, CBS and NBC) for the last two seasons. 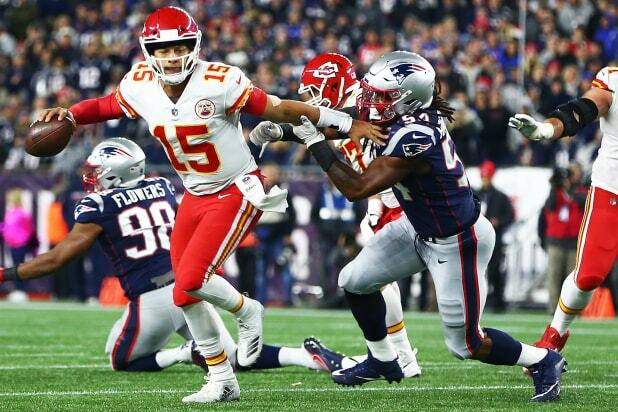 The NFL has also made a few of its major events — the Thanksgiving Day games and the Super Bowl — available for free to stream in recent years.